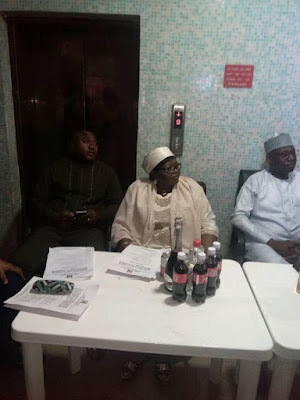 The labour party of Nigeria FCT Abuja chapter on Thursday 28th of June, 2018 commissioned the new secretariat of the party at the Labour House in Central Business District Garki, Abuja. Present at the grand opening of the Chapter’s new secretariat are the President Nigerian Labour Congress, Labour Party National Vice Chairman South, Vice Chairman South-South, National Vice chairman North, National Publicity Secretary of the party, Labour Party official from Britain Mr. Drew Povey, IPAC Chairman Abuja Chapter, Chief Goddy Anyanwu, and host of others. The Party chairman of the FCT Rev. 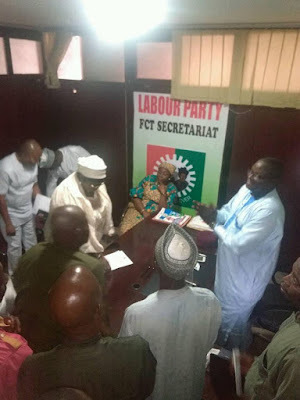 Comrade Joseph S. Ndirang while reading his address welcomed party faithful and invited special guests to the commissioning of the new secretariat noting that the party is ‘’systematically marking a milestone in the history of Labour Party in Nigeria’’. The FCT Party chairman expressed surprise and said it’s shocking to hear that the formal National Chairman of the party A. A. Salam had gone to the media and even written to Independent National Electoral Commission [INEC] insinuating that the NLC does not own the Labour Party. Ndirang reaffirmed gthat the party does not want to drink from the sacked Salam’s ‘cup of iniquity’, hence they decided to come back home to their founding fathers to receive their blessings and start afresh. The elated party Chairman thanked the President of the Nigerian Labour Congress Dr. Ayuba P. Wabba mni for accepting them back as the proverbial prodigal son, who collected and spent his inheritance in a riotous lifestyle only to return home to his father totally bankrupt. He also thanked the new National Leadership of the party lead by Dr. Mike Omotosho, the Gubernatorial aspirants for Borno state and Kogi state Capt. Ibrahim Kadafir Mshelia and Dr. Sani Shuaibu Teidi for their trust and faith in the party. 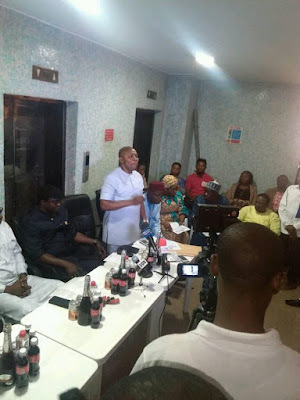 He assured them that in line with the ethics of the labour Movement, the party will ensure they not only get the party ticket but also clinch the Governorship seat in their various state come 2019. 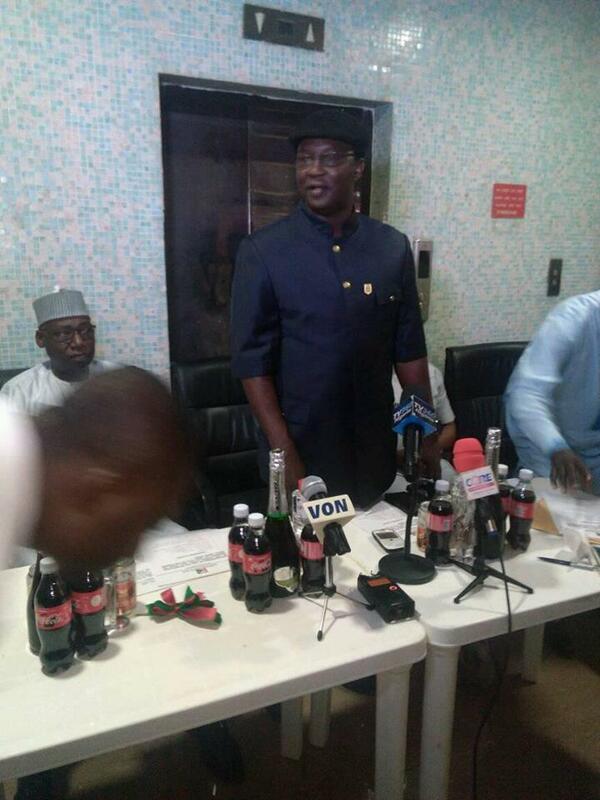 The NLC President Dr. Ayuba speaking at the occasion reiterated that Salam was just a ‘’tenant who can never become a landlord… he said that NLC registered the Labour party and the certificate is intact and not missing. While thanking the party leadership of Rev. Ndirang for rethinking and recognizing that the party has a father, maintained that the party and the party positions are not for sale to the highest bidder but for the common man.